Welcome! Thank you for visiting our website. South Mississippi Endodontics was started by Dr. Craig Anderson in 2009. This is a specialty dental practice devoted to the retention of our patient's natural teeth. Our practice is located in Biloxi, but we routinely work with people from all communities throughout South Mississippi. Our goal is to provide the very highest endodontic care possible. This is done the old- fashioned way: by treating patients as we would like to be treated, by delivering all treatment with the most advanced technology available, and by maintaining a commitment to delivering the highest quality procedures possible on every patient. We are confident that you will find that we provide optimal endodontic therapy in a calm, warm and friendly environment. At the endodontic practice of Dr. Craig Anderson, we utilize the latest technology to provide you with the best care. 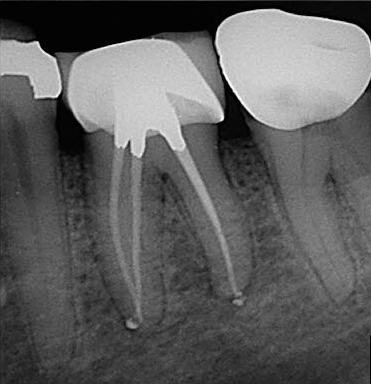 Technology such as the surgical operating microscope, digital radiographs, cone beam computed tomography, and ultrasonic endodontic instruments are just some of the tools that we use to manage your case. We encourage you to pre-register at this website before you come to our office for your appointment. The registration process is simple and easy to use. Please call our office for instructions. Root Canals are not what they used to be!